We are an eminent name, which is engaged in delivering Pharma Punches and Die Cabinets to honourable clients. The offered range of pharma punch & die cabinet is made utilizing high grade raw material and modern machinery in strict compliance with the international quality standards. Moreover, the offered range of pharma punch & die cabinets is applicable in different areas such as apparel, cloth, garments and chemicals, to name a few. 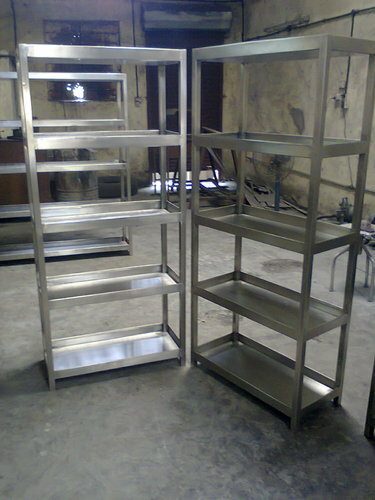 We are leading manufacturer and exporter of Stainless Steel Punch Trolley and our product is made up of good quality. • This trolley made in ss 304 matt finish. our trolley has high load bearing capacity .pu castor wheels for easy to move. 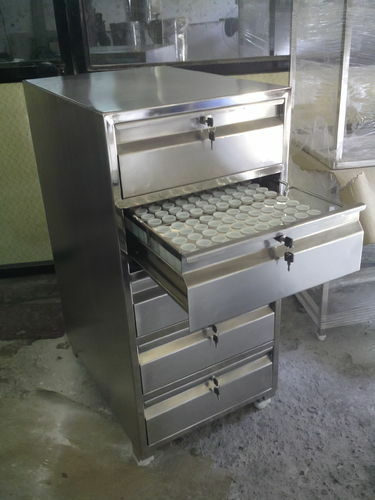 This is one of the popular SS 304 punch trolley it is mainly used in pharma industry. • It is more convenient to handle the punch and dia trey. it is made with sophisticated design and his matt finish it look very attractive. • All the joints has been welded with organ welding with smooth finished so it is easy to handle. on the down part of the legs it has given lockable pu wheels to carry the material safely from one place to another. • All work done under the supervision of our technical team and experienced engineers. • Our qc departments has been done all the testing under our company supervision so the quality of the material is 100% certified by our r & d lab. • This ss 304 hand operated punch trolley made by our latest techniques of machinery, the cutting and bending work has been done by our cnc cutting and bending machine so the quality of the material is as per quality norms and technically proven we are an eminent organization engaged in offering our reliable patrons an unparalleled range of ss punch trolley. • Suitable for storage and conveying for items, these trolleys are developed using quality-approved raw material and components, in adherence with the international standards of quality. moreover, easily to move, our offered trolleys are available in various specifications as per the requirements of our clients. We are leading manufacturer and exporter of Stainless Steel Horizontal Punch and Die Cabinet and our product is made up of good quality. It is mainly used in Pharmaceutical Company for storage of Punches and die in accurate manner. In order to append and respond to the diverse requirements of esteemed clients, we are able to offer Stainless Steel Horizontal Punch and Die Cabinet. The offered range of SS punch & die cabinet is made utilizing high grade raw material and innovative technology in strict compliance with the international quality norms and standards. We are leading manufacturer and exporter of Stainless Steel Punch Die Cabinet and our product is made up of good quality. • SS 304 * 18 Swg. • This Cabinet made in SS 304 Matt/Mirror finish. 06 Drawers for Punch & Die Storage purpose. • This SS Cabinet provided Legs with nylon bush. 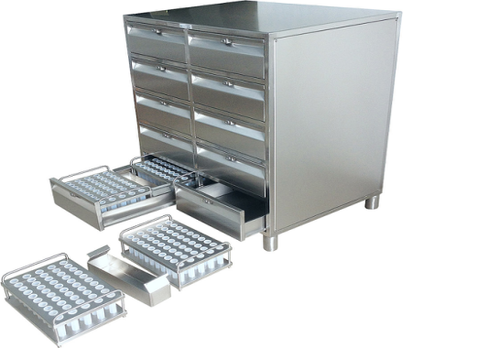 This is one of the popular SS 304 Punch and Die Cabinet ,it is mainly used in Pharmaceutical Industry. 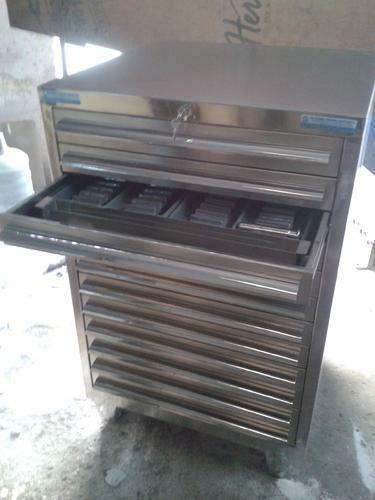 • The Main Purpose of this Punch and Die Cabinet is for Storage of Punches and Dies. • It has been given 6 Drawers each drawer is having 2nos Carats for storage of Punches and one number tray provided for Die storage. • All the drawers had fixed with bearing for smooth function of drawers so one can handle the drawer carefully and work smoothly.Locks have been provided. • All work done under the supervision of our technical team and experienced engineers. Our QC departments have been done all the testing under our company supervision so the quality of the material is100% certified by our R & D Lab. • This Die punch cabinet made by our Latest Techniques of Machinery, the cutting and bending work has been done by our CNC Cutting and Bending Machine so the quality of the material is as per quality Norms and technically proven. We provide a wide range of Stainless Steel Horizontal Punch and Die Cabinet to our valuable client. These are made from high quality raw material. These are provided in different size and shape. Designed especially to cater to the needs of the tablet formulating. These are in high demand in the domestic market and are extensively used in various pharmaceutical industries. It is mainly used for Pharma Industry and Hotel Industry. It is very convenient for Display or storage purpose. It is made with sophisticated design with matt /mirror finish. All the joints has been welded with Organ welding with smooth finished. So it is easy to handle. We are the leading of SS Racks. • This SS Rack made in SS 304 . • We are instrumental in providing to our valuable customers excellent quality SS Rack. 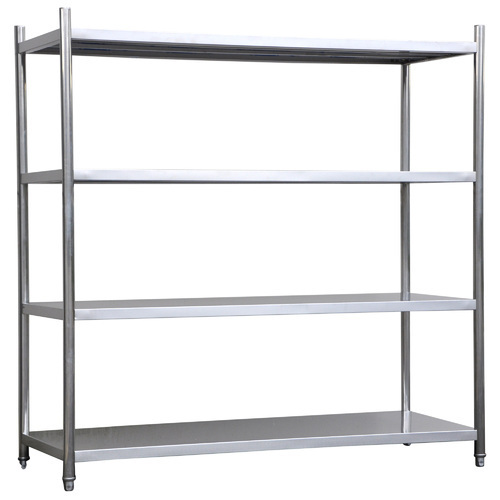 Furthermore, our range of Stainless Steel Racks is highly appreciated by our clients for durable finish standards, sturdy construction and exceptional finishing. It is mainly used in Pharmaceutical Company for storage of Punches and die in accurate manner for both 'D' tooling as well as "B" Tooling. The offered range of SS punch & die crates is made utilizing high grade raw material and innovative technology in strict compliance with the international quality norms and standards. Along with this, the offered range of SS punch & die crates is known for its easy handling, owing to the which it is applicable in different. •MOC: SS 304 * 18 Swg. Looking for “Pharma Punches and Die Cabinets”?